Sometimes I find out the most interesting things while doing research for an upcoming wedding. If it’s at a venue I’ve never photographed before I always do an extensive search on the space, familiarizing myself with it as best I can before I walk onto the property on the wedding day. For my first outing in 2013 at the Onteora Mountain House in Boiceville, New York, I learned something I didn’t expect to learn! Did you know that the charming Catskills Mountain bed and breakfast resort had actually been built by the king of the mayonnaise world, Richard Hellmann? Now you do! Built near Woodstock, the gorgeous Onteora Mountain House overlooks Esopus Valley and boasts a forty-foot porch for dining, multiple bedrooms in the great house, a massive Great Room, and more. 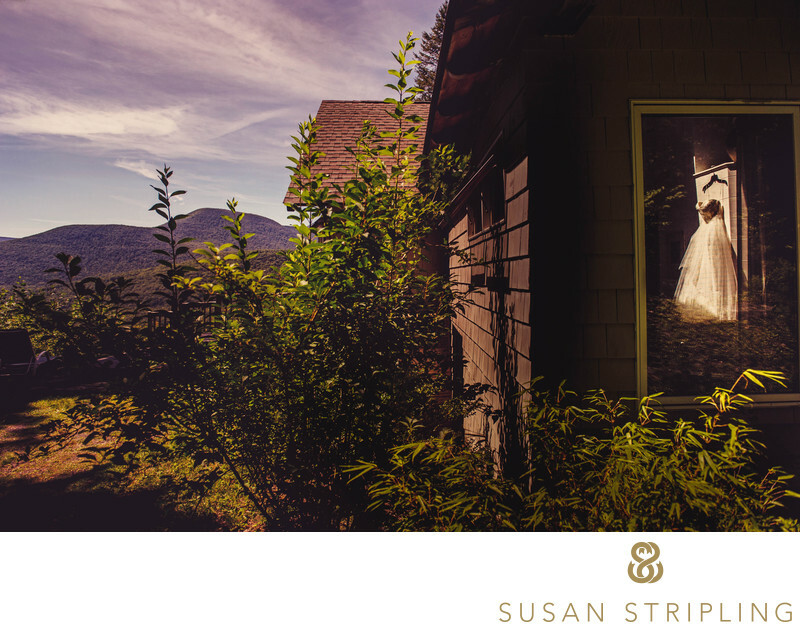 It’s a wonderful, quiet retreat for a wedding and reception. 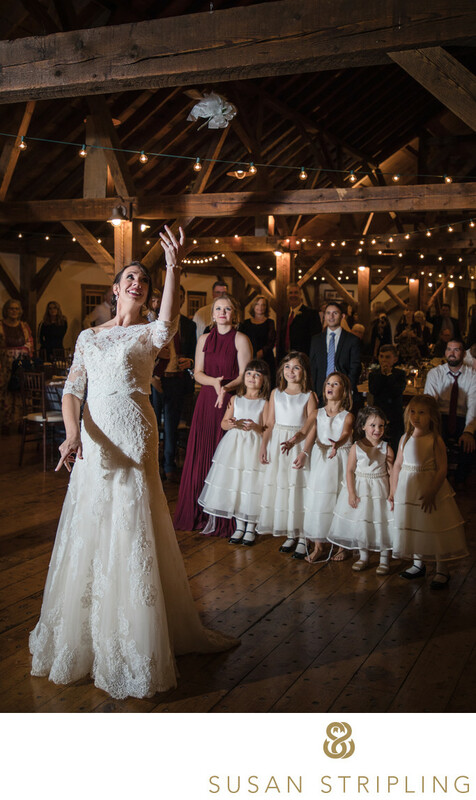 This wedding reception took place in the huge pavilion near the Great House. 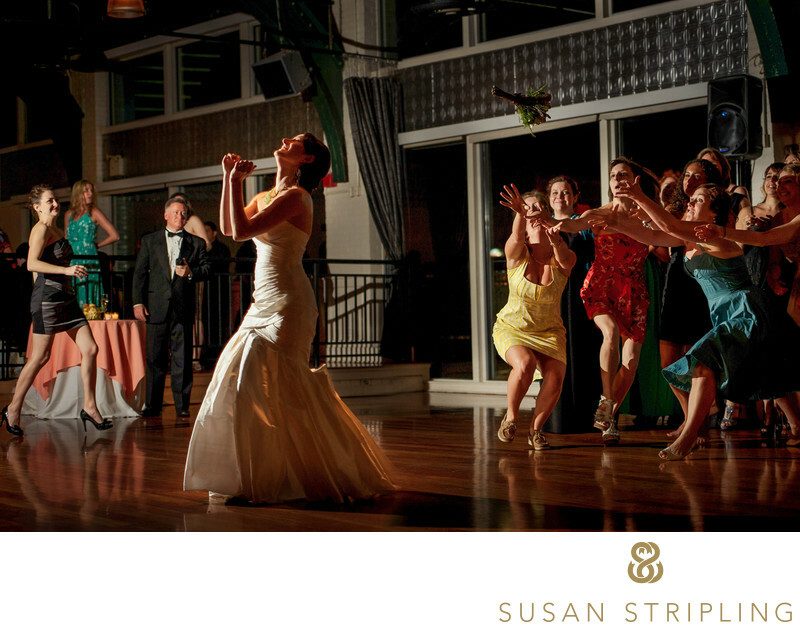 I love this image, taken at the wedding reception during the bouquet toss. 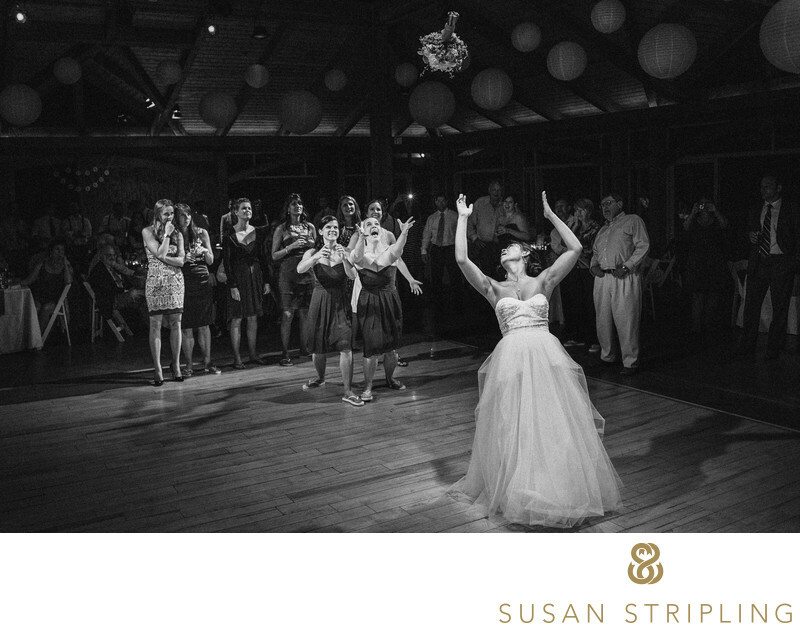 A bouquet toss can be difficult to photograph, moving quickly and full of so many split-second actions and reactions. If you choose to toss a bouquet or garter on your wedding day, know that I will be right there in the action! My goal is to show the action and reaction of such a fun moment in a way that makes you remember that exact second when you look back at the images later. 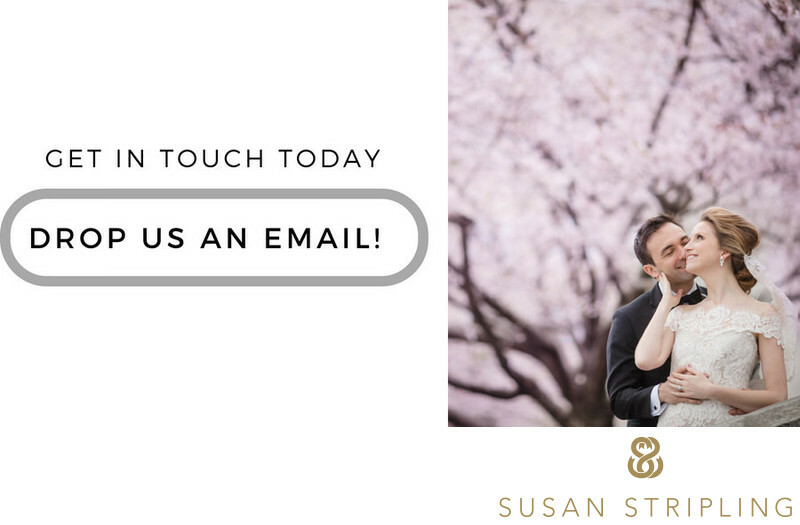 If you're getting married at the Onteora Mountain House, let's talk! I am based in New York, but have a car and love traveling to events. I'd love to meet you in Boiceville for your wedding day! Location: 96 Piney Point Rd, Boiceville, NY 12412. Keywords: Boiceville (6), Onteora Mountain House (6). 1/500; f/4.0; ISO 5000; 28.0 mm.